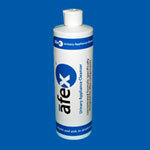 Use this Afex™ Cleansing Container to clean and maintain either the Low or High Style Afex™ Receptacles (sold separately). 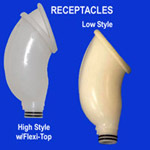 The convenient drain holes help make cleaning the Receptacles easy and worry free. Simply follow the instructions printed on the label. Container holds one Receptacle at a time.